Each year the Business Information Systems (BIS) programme in UCC invites students to showcase their creative work, and to express those sides of themselves less visible in their academic studies, in its annual Anthology publication. A special 20th anniversary edition of the Anthology was officially launched at the Blackstone Launchpad at UCC on Thursday, March 22nd at an event attended by Bank of Ireland as well as members from the BIS Advisory Board, students and BIS staff. The BIS Anthology is sponsored by Bank of Ireland and Fidelity Investments. Since its inception, BIS has been committed to the personal and professional development of the whole person, and its mission is to help students nurture their own creativity, curiosity, and courage, so that they might forge truly extraordinary careers by seeing, thinking, and acting differently. The annual BIS Anthology, which allows students to share their visual, verbal, and musical talents with each other and with the world, is an important part of this. 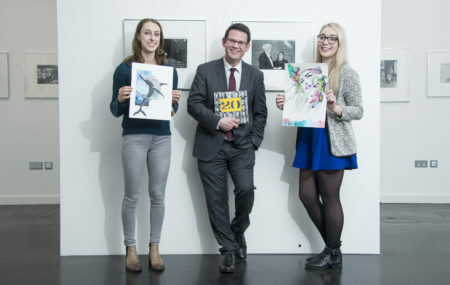 BIS Students Anthony Creed Cork, Lorraine Mulcahy Cork and Eva O’Driscoll Cork pictured at the launch of the 20th annual Business Information Systems (BIS) Anthology, showcasing the creative work of UCC’s BIS students. The Anthology was launched at the Blackstone Launchpad at UCC. 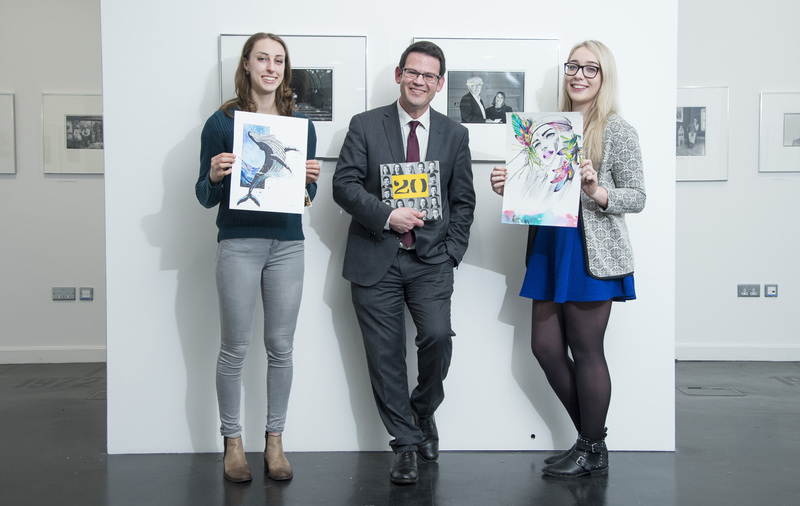 Professor Joseph Feller BIS with BIS Students Eva O’Driscoll Cork and Lorraine Mulcahy Cork pictured at the launch of the 20th annual Business Information Systems (BIS) Anthology, showcasing the creative work of UCC’s BIS students. The Anthology was launched at the Blackstone Launchpad at UCC. This year sees the popular UCC programme celebrate 20 years of this unique aspect of the BIS experience; and in honour of the anniversary, BIS staff were also invited to contribute work to this year’s edition, together with 48 student submissions. As part of the anniversary celebrations, BIS had also organised a retrospective exhibition of Anthology artwork which ran in the Lewis Glucksman Gallery, UCC in early March. Speaking at the Anthology launch, Professor Joseph Feller, Head of Business Information Systems said “The creativity to see beyond what is, and imagine what might be. The curiosity to constantly explore, experiment, and discover. The courage to make mistakes, a natural and necessary part of learning and discovery; and the courage to share and express our unique talents and novel perspectives with those around us – these are attributes commonly associated with great artists. They are also the core attributes of great information systems professionals; the individuals whose work fundamentally transforms organisations, industries, and societies”. To learn more about BIS (CK203) in UCC visit www.cubsucc.com.